Millions of people use Google search every day for a variety of reasons. Students use it for school, business people use it for research, and millions more use it for entertainment. 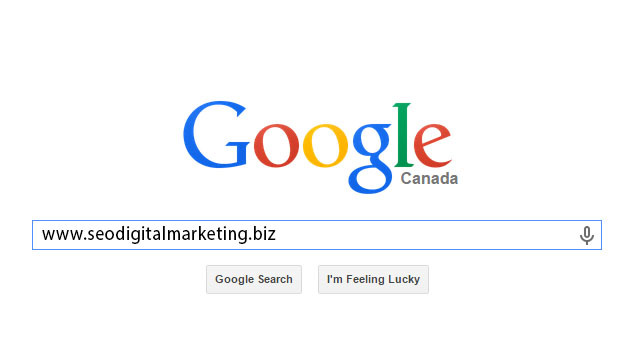 Did you know that you may not be using Google search to its full potential? Here are 20 tips and tricks to maximize your search efficiency. The first tip is to use the tabs in Google search. On the top of every search are a number of tabs. Usually you’ll see Web, Image, News, and More. Using these tabs, you can help define what kind of search you need to do. If you need images, use the Image tab. If you are looking for a recent news article, use the News tab. It’s rudimentary and most people use the tabs already. If you are not, then it’s highly recommended to get associated with them. They can cut search times dramatically if utilized properly. When searching for something specific, try using quotes to minimize the guesswork for Google search. When you put your search parameters in quotes, it tells the search engine to search for the whole phrase. For instance, if you search for Puppy Dog Sweaters, the engine will search for content that contains those three words in any order. However, if you search “Puppy Dog Sweaters”, it will search for that phrase exactly as you typed it. This can help locate specific information that may be buried under other content if not sorted out correctly. Sometimes you may find yourself searching for a word with an ambiguous meaning. An example is Mustang. When you Google search for Mustang, you may get results for both the car made by Ford or the horse. If you want to cut one out, use the hyphen to tell the engine to ignore content with one of the other. See the example below. This tells the search engine to search for mustangs but to remove any results that have the word “car” in it. It can be wildly helpful when finding information about something without getting information about something else. This will search for all content about famous hockey player Sidney Crosby, but only on NHL.com. All other search results will be removed. If you need to find specific content on a particular site, this is the shortcut you can use. This Google search tip is a little obscure. Instead of searching for a specific page, you’re searching for a page that links to a specific page. Think about it this way. If you want to see who cited a New York Times article on their site, you would use this trick to find all the sites that link to it. The syntax is below. That will return all pages that link to the New York Times official website. The URL on the right side can be practically anything. Be aware, though, that the more specific it is, the fewer results you’ll get. We know not a lot of people will likely use this Google search trick, but it could be very useful for some. The asterisk wildcard is one of the most useful ones on the list. Here’s how it works. When you use an asterisk in a search term on Google search, it will leave a placeholder that may be automatically filled by the search engine later. This is a brilliant way to find song lyrics if you don’t know all the words. Let’s look at the syntax. To you or me, that may look like nonsense. However, Google search will search for that phrase knowing that the asterisks can be any word. More often than not, you’ll find they are lyrics to The Beatles song “Come Together” and that’s what the search will tell you. This is a unique one that could be used by practically everyone if they knew it existed. Let’s say you have a favorite website. It can be anything. However, that website is getting a little bit boring and you want to find other websites like it. You would use this trick. Below is the syntax. As a college student, I can attest that I use this one rather frequently. Google search can actually do math for you. This is a rather complex one to describe because it can be used in so many ways. You can ask it basic questions or some more difficult ones. It is important to note that it won’t solve all math problems, but it will solve a good number of them. Here are a couple of examples of the syntax. If you search the first one, it’ll return 45. It will also show a calculator that you can use to find answers to more questions. This is handy if you need to do some quick math but don’t want to do it in your head. If you search the second term, it will return the number value of Planck’s Constant. So it can do math, but it can also help you solve math problems by showing values for known mathematical terms. Google search is flexible. It knows you may not find what you want by searching only a single word or phrase. Thus, it lets you search for multiples. By using this trick, you can search for one word or phrase along with a second word or phrase. This can help narrow down your search to help you find exactly what you’re looking for. Here is the syntax. By searching that, you will search both phrases. Remember the quotes tip above? It’s being used here as well. In this instance, these two exact phrases will be searched. It can be done by word too, like the example below. This will search for pages that have either chocolate or white chocolate! Searching for a range of numbers is another tip we don’t anticipate a lot of people using. The people that do use it, though, will probably use it quite a bit. People interested in money or statistics will find this tip particularly useful. Essentially, you use two dots and a number to let Google search know you’re looking for a specific range of numbers. Like the syntax below. In the first instance, the search will toss back the team that won the Stanley Cup in 2004. The two dots with only one number will tell the search that you don’t need anything before or after 2004. This can help narrow down searches to a specific number to improve search results. In the second, Google will search for the numbers 41, 42, and 43. It is obscure, but wildly useful if you happen to need to search for numbers like this. Now we’re getting into the general tips. Google search knows how to search for a lot of things. What this means is you don’t need to be too specific. If you need a pizza place nearby, use this to search. Google search will grab your location and deliver a variety of results about pizza places that are near you. There will come a time when Google search doesn’t shovel out the results you expect. In this instance, keeping it simple may not be the best option. As Google itself suggests, the best method is to start with something simple then gradually get more complicated. See the example below. This will gradually refine the search to bring you fewer, more targeted terms. The reason you don’t go straight from the first try to the third try is because you may miss what you’re looking for by skipping the second step. Millions of websites phrase the same information in a number of different ways; using this technique lets you search as many of them as possible to find the best info. This is a very important one. When people use Google search to hunt the web, they generally search for things using the same language that they would use for speaking. Unfortunately, websites don’t say things the way people do; instead, they try to use language that sounds professional. Let’s look at some examples. The list goes on and on. When searching, try to use terminology you would find on a professional website. This will help you get more reliable results. The way Google search works is to take what you search for and match it with keywords in online content. When you search for too many words, it may limit your results. That means it may actually take you longer to find what you’re looking for. Thus, it is apropos to use only the important words when searching for something. Let’s see an example. Don’t use: Where can I find a Chinese restaurant that delivers. Instead try: Chinese restaurants nearby. Or: Chinese restaurants near me. Doing this can help Google find what you need without all the clutter. So remember, keep it simple and use important words only. A number of commands can be entered to give you instantaneous results. Like the math example above, Google can immediately give you the information you need that is displayed right at the top of the search results. This can save time and effort so you don’t have to click a bunch of bothersome links. Here are a few examples of some commands you can enter into Google. Weather *zip code* – This will show you the weather in the given zip code. You can also use town and city names instead of area codes, but it may not be as accurate if there are multiple area codes in the city. What is *celebrity name* Bacon Number – This is a fun little one that will tell you how many connections any given celebrity has to famed actor Kevin Bacon. The popular joke, Six Degrees of Kevin Bacon, is that no actor is more than 6 connections away from Kevin Bacon. Mark Zuckerberg has a Bacon Number of 3. The math example posted above is another one. What is the definition of *word* or Define: *word* – This will display the definition of a word. Time *place* – This will display the time in whatever place you type in. You can check any stock by typing its ticker name into Google. If you search for GOOG, it will check the stock prices for Google. These quick commands can take a web search that is usually multiple clicks and condense it into a single search. This is very helpful for information you need repeatedly. Google search has gotten a lot smarter over the years. These days, you don’t even need to spell words correctly. As long as it’s pretty close, Google can usually figure out what it means. Here are some examples. If you search “Nver Gna Gve Yo Up” Google will automatically assume you mean to search for “Never Gonna Give You Up.” If by chance your misspelling was intentional, Google gives you the option to search for the misspelled term instead. This trick is great if you happen to forget how to spell something or are not altogether sure how something is spelled. It can also be helpful when searching for obscure words. This applies to capitalization and grammar as well. Pretty much everything can be described in multiple ways. Take our namesake, the “life hack.” The terminology “hack” refers to a computer programmer breaking security on a network or system. However, when used in conjunction with the word “life”, it alters the meaning to tips and tricks people can use to improve their lives. If you have trouble finding what you’re searching for, keep in mind that people may search or define what you need in a different way than you do. There really isn’t a good specific example for this one. If you search for something and you can’t find an answer, try asking the same question using different words and see if that helps the results. An often forgotten feature of Google search is the ability to search for a specific file or file type. This can be infinitely useful if you need a specific PDF or PowerPoint file that you previously viewed or need to use for another project. The syntax is quite simple. In the above example, you simply replace the search term with whatever you’re searching for. Then use the filetype command and enter the extension of any file type you can think of. This can mostly be useful for scholarly purposes, but business presentations and other assorted presentations can benefit from this kind of search as well. Google search can quickly and accurately convert both measurement units and currency value. There are a variety of uses for this, like checking to see the conversion rate between two currencies. If you happen to be a math student, you can use it to convert from feet to meters or from ounces to liters. Here’s how to do it. miles to km – This will convert miles to kilometers. You can put numbers in front to convert a certain number. Like “10 miles to km” will show you how many kilometers are in 10 miles. USD to British Pound Sterling – This will convert a US dollar to British pounds. Like the measurements above, you can add numbers to find exact conversions for a certain amount of money. It’s true that this tip is geared toward math students and international business people. However, you’d be surprised how often these tips are used by regular people. Our last trick is to use Google search to find out where your packages are. You can enter any UPS, USPS, or Fedex tracking number directly into the Google search bar, and it’ll show you the tracking information about your package. This is much easier than going to the specific sites, waiting for them to load, then searching for your packages there. No examples are really needed for this one. Just type your tracking number in and see where your package is. Google search is a very powerful search tool. Using the tips outlined above, you can find anything and everything you could ever need on the World Wide Web. Whether it’s avoiding Wikipedia for a school essay project, finding the latest stock prices, or even finding song lyrics, there is a way to make Google search work for you. 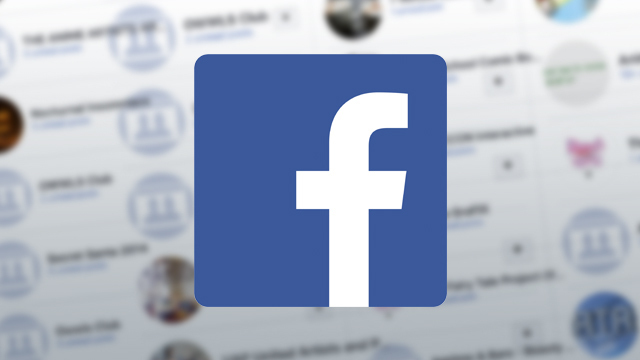 Admit it: the “Active minutes ago” Facebook feature is annoying. Sometimes, you just want to lurk on the News Feed and not announce to the world that you’re online. 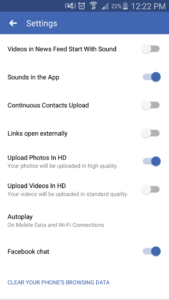 The fastest solution is to just go permanently offline on your Facebook Messenger, but really, this option can be a little inaccurate at times. Your contacts might be getting the impression you are online and ignoring them, when actually, you’re not. 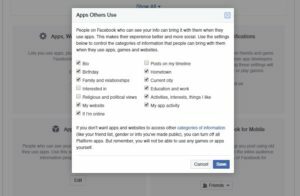 If you wish to really hide your online state and keep your “last active” time from appearing to your contact list, here are some things that you can do. 1) Open your Facebook account through desktop. 2) Go to “Settings” tab. 5) Uncheck the “If I’m online” option. 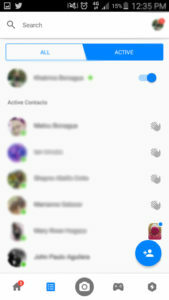 1) Open the Messenger App on mobile. 2) Go to the “People” tab. 4) Disable the toggle button next to your name. 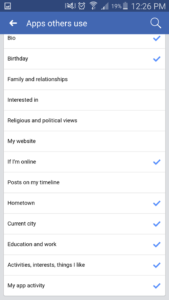 1) Open your Facebook account on mobile. 2) Go to “App Settings”tab. Related article: Why SEO is important for businesses. 2) Go to “Account Settings” tab. 4) Click “Apps other use” tab. SEO is the very important part of digital marketing. We cannot imagine digital marketing without SEO. It’s the only technique to gain maximum attention of customers for any product and services. Cost and time required for marketing in SEO is very less when compared to traditional marketing techniques. Online marketing is becoming so popular for people to purchase the gadgets or services. It’s became very important for every business to optimize their website and it can only done by SEO. 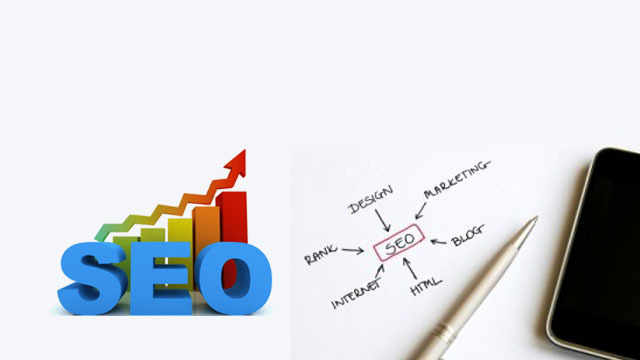 SEO is the strategy used by every business to gain a top position in search engine results. Search engines will place the website at the top position if that website has enough traffic, and if it provides people information they actually want. If we enter any query in the search engine it will give you relevant results at the first page. If we didn’t get the result at the top position, then we will try up to two pages to get that information. Because of Google updates we can be able to find relevant information in the first page itself. Google launching new updates to help online visitors to find their result at first page instead of some irrelevant information. If you enter the correct query in the search engine, you will definitely get your information at first page only. There are many elements which we have to consider in SEO like keyword density, Meta tag titles, inbound and outbound links, content writing and many more. Because of updates it’s become very important to have quality content which will be informative, unique and should not be short. Writing content is not the main area to focus on, but should grab the sufficient audience to the website; otherwise, it’s of no use. Visitors become customers because you have good content on your website. 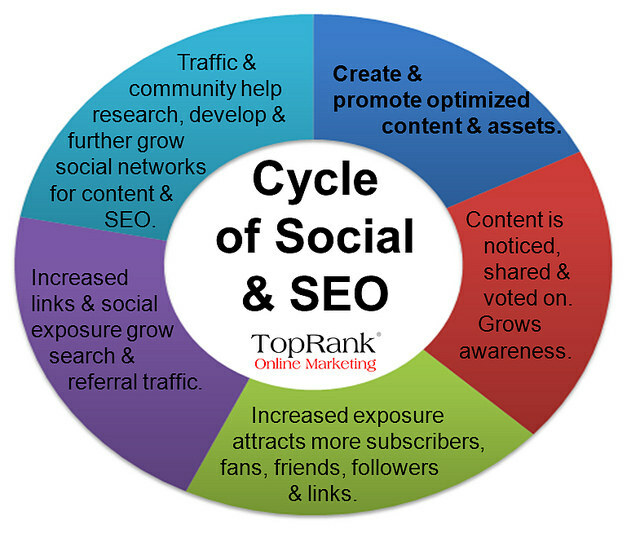 In SEO, content plays a very vital role for promoting your business through social media. Many SEO services companies are following the same technique to optimize their website. Another important area in SEO is keyword density – many content writers use too many keywords in the content, and it shows you’re writing content for promotion, so avoid using too many keywords and don’t add so many repetitive words in the content, as It will affect the quality of your content. Inbound linking is the other area where SEO has to be focused. Inbound links are our links which we are placing on another’s website. Google will consider those links because we are placing our links in other websites. If traffic of that website is more, then it could be an advantage to our website because visitors may open our link and in this way you can get traffic to your websites. Planning of titles also are important. If your content doesn’t match with the title, then your content will be considered as spam. The structure of your Url should not be lengthy and try to include keywords in your Url structures. Professional SEO companies will do the same for optimizing websites. From the above mentioned information, it is clear how important SEO is in digital marketing. If you are like many webmasters, you might think about advertising your website on social media profiles or with paid advertisements. Although both of these options can help you get the traffic that you want, you should also understand the importance of search engine optimization. By understanding why SEO is important, you can understand why it is something that you should do for your website. To keep traffic coming in with paid advertisements, you have to pay for them on a regular basis. If you quit paying for them, chances are good that your traffic will go way down. With search engine optimization, however, you can enjoy a lot of traffic for free. Nowadays, many people use popular search engines when seeking information about a business, products and services that might be available and information that they are interested in. If people can’t find your site easily through search engines, chances are good that they will go to another site for the products, services or information that they are interested in. Since search engines are so wildly popular with such a large audience, taking advantage of this popularity can really help you succeed. If the idea of tackling a search engine optimization campaign on your own is enough to make you go crazy, you shouldn’t worry or give up on the idea of promoting your site on search engines. Instead, you can consider checking SEO Philippines by PNGS Inc. for help with SEO services. This company generally don’t charge a lot for their services, but you might be surprised by the many benefits that you can enjoy after hiring one of these sites. If you don’t want to hire a professional SEO company, you can consider doing it yourself. Although it might take a while to learn the ropes, knowing how to optimize your own site can help you in the future and can help guarantee that you continue to bring in traffic. The important thing to realize is that search engine optimization really does work. Although some people worry that it will be dead in a few years, this isn’t something that you should be worried about. As long as you can keep up with the changes and times in the search engine world, you can continue to see results well into the future. Since search engine optimization can work so well, it is definitely something that you should work on; otherwise, you could be missing out on a ton of traffic. Many people don’t understand search engine optimization, but it is an essential thing to learn about if you are a website owner. By taking the time to learn more about SEO, you can make serious changes for your website and can bring in more traffic than you probably ever imagined, and you can enjoy benefits that you can’t really get from other forms of advertising, such as paying for pay-per-click or pay-per-view ads. Therefore, if you haven’t started an SEO campaign for your site yet, it is definitely something that you should consider in the near future; you might be surprised by all of the traffic that you can bring in if you do.